Nestled in the foothills of the Catskill Mountains, our Valley Towns were first settled by entrepreneurial pioneers in the late 1700’s. This region has continued to attract companies with international reach such as GlaxoSmithKline and U.S. Paper Counters. These two businesses make products in Greene County, while successful regional businesses serve residents locally and beyond. Both companies have been successful in large part because of the high-quality products that they produce and their strong commitment to customer service. 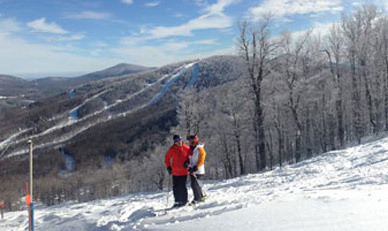 The lower-cost structure of the area helps tourism businesses, including Zoom Flume Water Park, as well as a variety of golf courses and a diverse set of restaurants. The area’s strong tradition of family resorts attract tourists each spring, summer and fall adding a great deal of spending power and recreational opportunities. Many classic Main Street buildings are available at reasonable prices. Immediate opportunities for significant industrial and commercial operations that are close to major transportation and infrastructure networks. 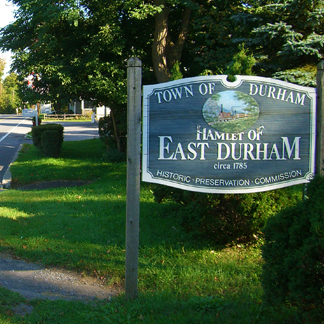 East Durham is known for its Irish heritage and cultural festivals, attracting many Irish-American visitors during the summer months. Tourism focused businesses including Zoom Flume Water Park, challenging golf courses and ethnic restaurants provide opportunities for complementary ventures. Strong agricultural and farming community support. 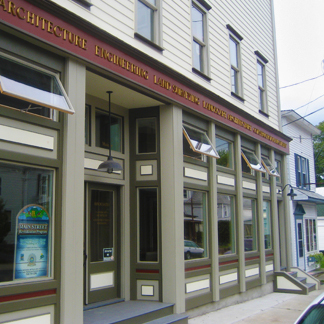 The Crossroads of Commerce at the foot of the Great Northern Catskill Mountains is a perfect balance of Main Street Americana and central location. Unequaled scenic, cultural, historical and recreational experiences. “5 state” vistas, stone bridges, waterfalls and New York State designated scenic roads continue to make Durham one of the best vacation destinations in New York State. 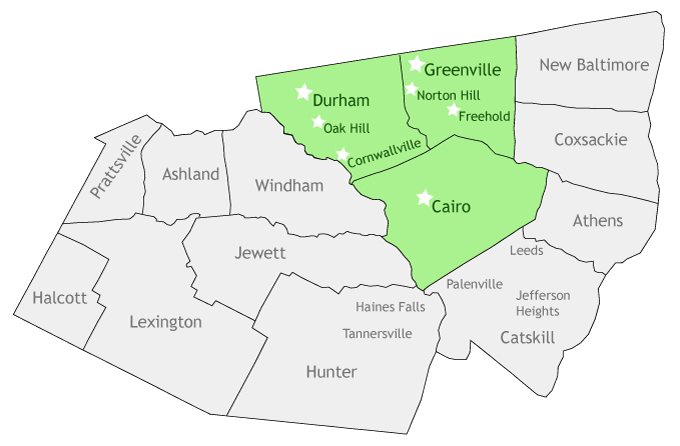 Just a short commute to the growing business opportunities in New York’s Tech Valley, with some of the best rural recreational destinations in the region. 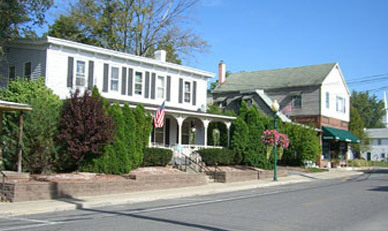 As part of its Main Street Revitalization Program, the County worked with the Town of Cairo on the creation of its first Main Street Strategy. The Strategy analyzed the physical and business conditions in the Main Street study area. 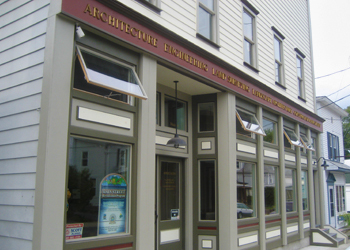 Dadras Architects, a nationally-recognized Main Street revitalization firm prepared the Plan with the assistance of the County Economic Development, Tourism and Planning Department. 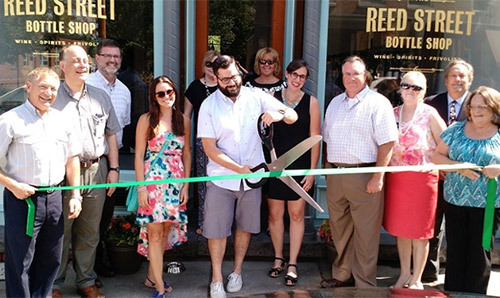 Walkable Main Streets and quick access to the Thruway make the River Towns a great place for small and medium sized businesses. At the center of outdoor recreation, the Mountain Towns are an ideal location for businesses catering to the adventurous traveler. Greene County is a great place to build a successful business rooted in the fabric of a vibrant community. 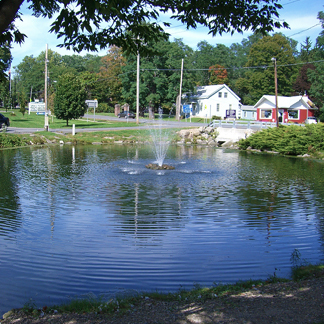 Greene County gives you the best of both worlds: living in a tranquil setting and sophistication of large urban areas. 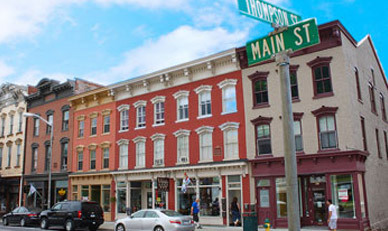 Greene County offers many programs that can aid your start-up NY business.